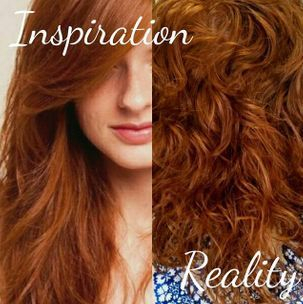 Every salon has their "secret magic wand," but the truth is, we don't want ours to be a secret! We want to share with you what works and what we can use to help you achieve your most desired look while actually helping improve the integrity of your hair! For us, that's often Malibu C Wellness services and treatments. 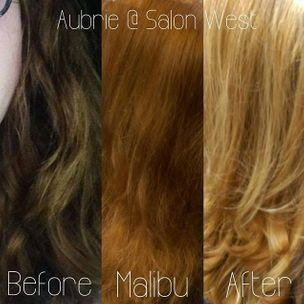 Check out the gallery to the right to see how Salon West and their use of Malibu C has helped achieve miracles! This look was accomplished using one of our absolute favorite Malibu C products...Malibu CPR (color pigment remover). 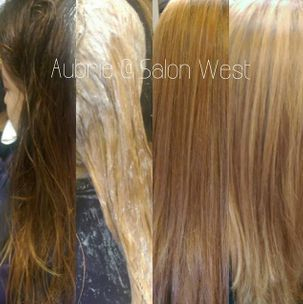 After years of box color, many of them being red applications, this client was ready to be as blond as possible! 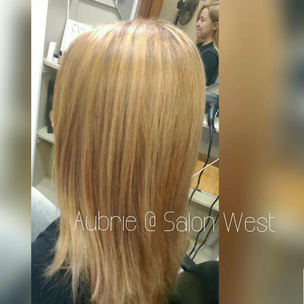 We first prepped her with Malibu CPR, which removed several layers of old color and cleansed her hair of any harmful buildup. We were then able to accomplish the final look with one full head of highlights and a toning glaze. Pure Magic! This client has hard water at home and an old ombre that she wishes to fill in for only the tiniest bit of dimension. 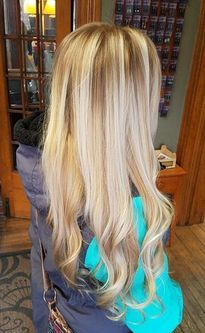 But because of her ends being lifted to a pale blond in the past and her hard water, color can have a hard time staying in, and with a two month trip to Ireland on the horizon, we needed a miracle for it to last! 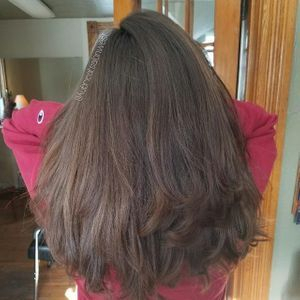 So, we prepped her with Malibu Crystal Gel to remove the hardwater build up and allow her color to attach to her actual hair and not the pesky buildup for the longest lasting results! 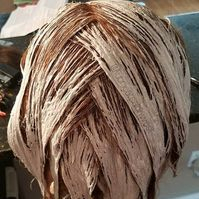 The new Malibu Klay additive allows us to turn any lightener into a clay based lightener that can process in the open air without any saran wrap or foils for this super soft, diffused look! This will be a great option for you if you're seeking a subtle, on-trend change! We love to play with color! When that old color fades and you're ready for a change, we use Malibu DDL (direct dye lifter) to quickly and efficiently remove the remnants, so we can apply the new color on a clean canvas. This keeps your colors very true, and prevents a muddy fade that can occur when you layer several colors on top of one another. This client also cares deeply about using Cruelty Free and Vegan products, which Malibu C products are both! Another Malibu CPR success! 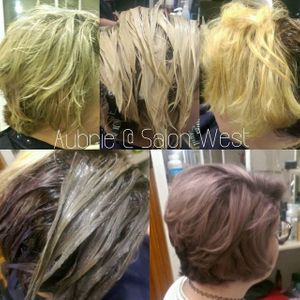 This client posed a challenge when she came in with her hair being three very distinct different colors. Her top was a natural deep brown, the middle a dark red-violet, and her ends a lifted gold color. 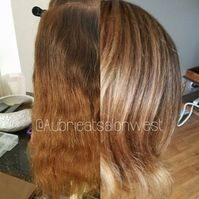 We started with Malibu CPR because we knew it would not affect or harm her new growth or pre-lifted ends, but would help remove the artificial red-violet pigments and remove the buildup that was evident in her hair from hard water and previous argon oil treatments. Then we could lift her without the worry of a reaction or her hair lifting too unevenly. It was in such amazing condition that just a few days later, we finished with a partial highlight to match her desired results. Due to a build up of hard water and a slight intolerance to ammoniated color, this client's scalp was not happy. 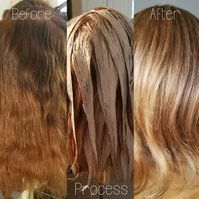 we have helped alleviate the issue by prepping her hair with Malibu Crystal Gel and the Malibu Repair treatments on a regular basis and switching to a very gentle, non-ammoniated color. 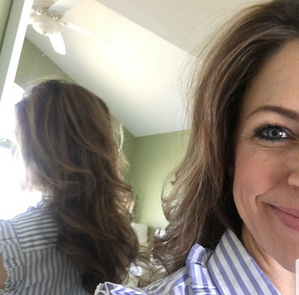 She also maintains her treatments at home with a Sprite filter on her shower head and the Malibu hard water and scalp wellness packets. Her scalp is feeling great and her hair has regained its body and shine. 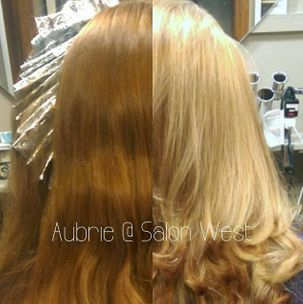 This client has never had her hair lightened in the salon before! Mostly because she is one of those rare unicorns that has kept most of her bright blond hair since childhood. However, after a few dark winters, she wasn't feeling as light and used Sun-In a few times during the summer. Sun-In can have a terrible reaction with lightener so we had to get any residuals of that product off. Malibu Crystal Gel can be used for so many different situations, including this one. We did a full treatment and did a test strand to ensure the integrity of her long locks. Once we were sure we were safe, we proceeded with a bayalage service to add in the pops of natural looking lightness she was used to. We love our redheads! Especially those we create. 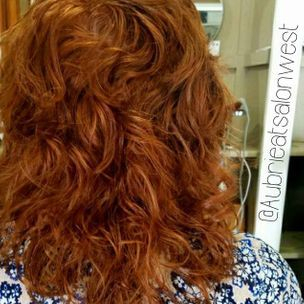 This client was used to a dark, muddy red, but wanted a brighter, more vibrant copper! It was easily achieved with one round of Malibu CPR to remove layers of the old color. it was so effective, we just customized a mostly clear glaze with a smidgen of pure copper color. Perfection! One of our platinum ombre beauties recently moved and her hard water is taking a toll on her gorgeous icey ends! Of course we used Malibu Crystal Gel to remove the hard water minerals and then toned. 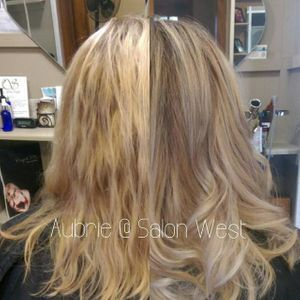 The toner grabbed a little too dark, so we pulled out another magic wand, Malibu Quick Fix, to gently pull a bit of the toner off to return her to her desired color once again. She helps maintain this at home with the hard water packets and Malibu Blondes Shampoo.